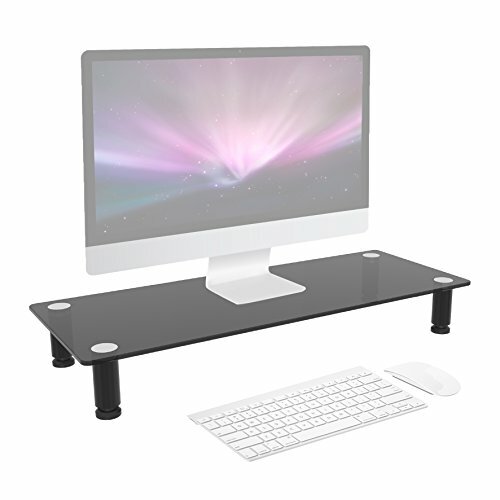 The Duronic DM052 range of monitor riser will support and rise your monitor, laptop or TV by 9cm-10.5cm to provide you with a more easy to view position for your desktop setup at home or at work. 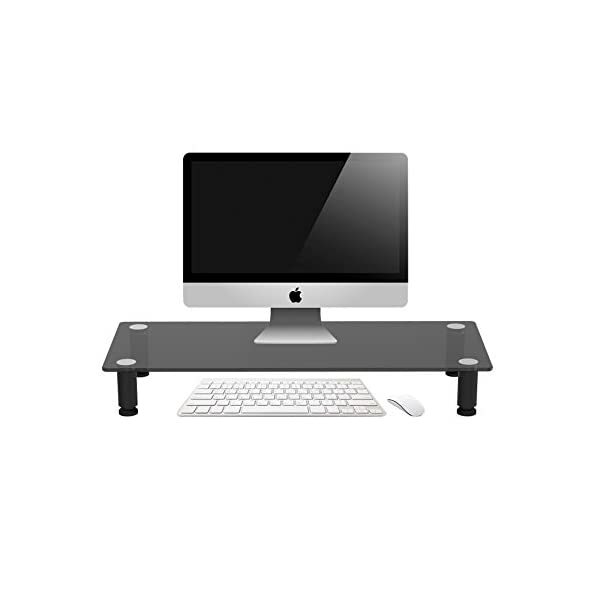 Our monitor risers are already fitted in 000's of offices throughout the world and they are helping customers reduce neck and back pain by optimizing the viewing position of the desk set up. HEALTH BENEFITS: Problems with low level monitors is the fact that in many cases the monitor is below the required eye level for optimum body posture, what the Duronic monitor stand does is allow the user to adjust the stand based on the height of the user to find the best height for each individual. Having the monitors at the correct height will reduce neck and back pain. This Duronic monitor riser is perfect for all appliances that have a base not larger than the glass platform. 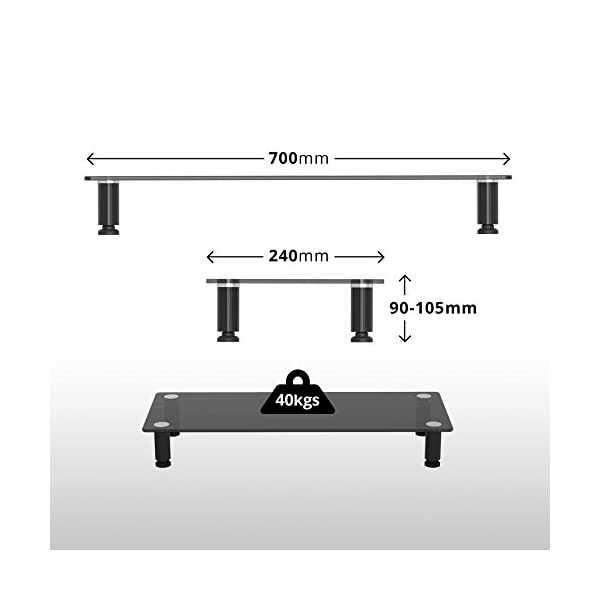 We would recommend giving 10cm clearance on either side for extra peace of mind. Most of the top monitor brands such as Dell, Samsung, AOC, Asus, Acer, BenQ etc. 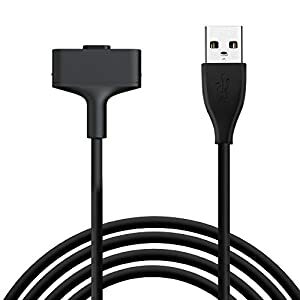 are all flat panel monitors which does not weigh so much. 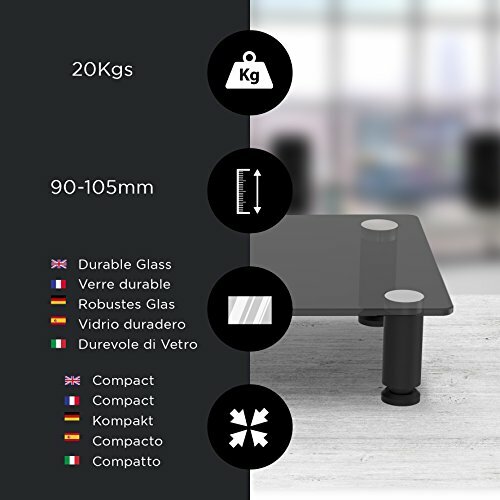 Even the small TV's available today that weigh less than 20kg are also suitable. 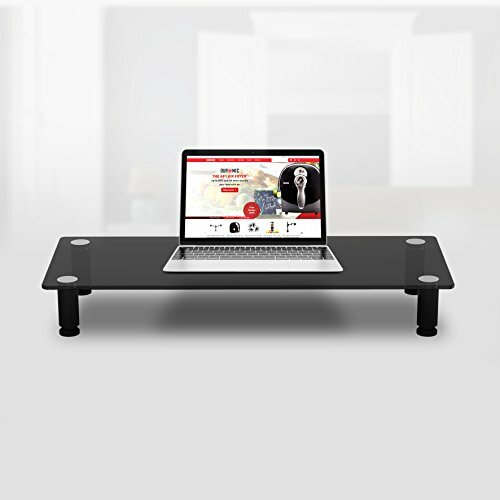 Perfect for raising the height of your monitor, laptop, or small TV’s to a more suitable viewing height. 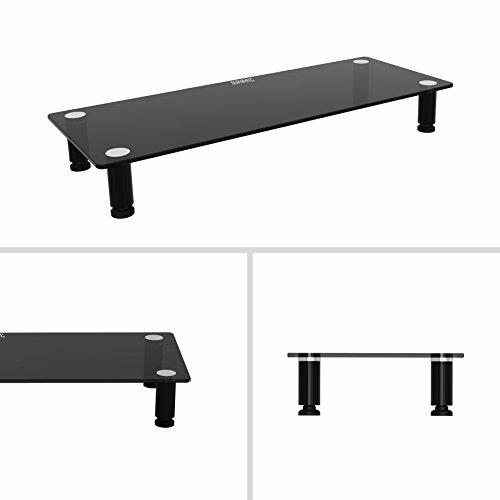 A Duronic monitor riser will allow you to raise your monitor to the perfect height required for monitor viewing. Not all monitors come with a stand that lifts the monitor to the perfect eye level required to avoid neck and back pains. 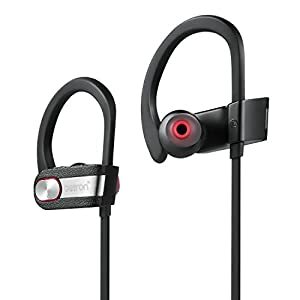 The top third of your monitor will have to be at your eye level, most monitor does not allow you to achieve this hence our stands will allow you to raise your monitor between 10cm-13cm, that allows you to enable you to achieve that perfect level. Easy to install: We have made our unit easy to install, all you want to do is screw on the legs onto the glass platform, the Acrylic models come ready to use straight out of the box. Set your monitor/laptop or TV on the unit. Easy to clean: As the platform is made of glass/acrylic it is going to allow you to wipe it clean easily to maintain its sleek look. 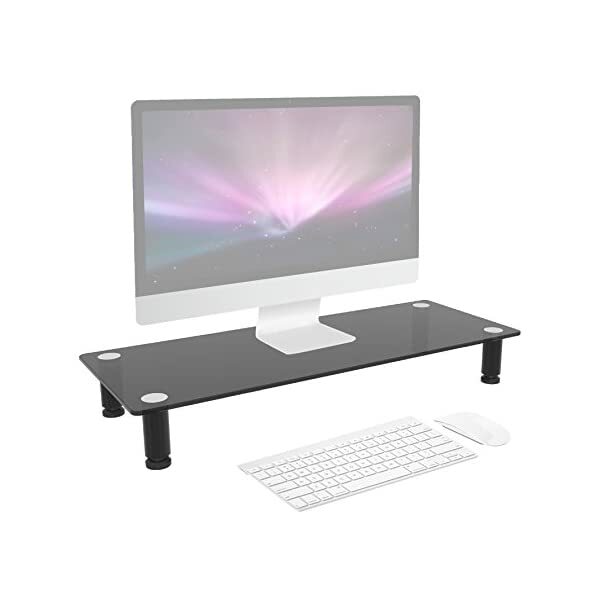 The Duronic DM052 range of monitor riser will improve and rise your monitor, laptop or TV by 9cm-10.5cm to provide you with a more easy to view position for your desktop setup at home or at work. Our monitor risers are already fitted in 000’s of offices right through the world and they are helping customers reduce neck and back pain by optimizing the viewing position of the desk set up. HEALTH BENEFITS: Problems with low level monitors is the truth that in many cases the monitor is below the required eye level for optimum body posture, what the Duronic monitor stand does is allow the user to adjust the stand based on the height of the user to find the best height for each individual. Having the monitors at the correct height will reduce neck and back pain. This Duronic monitor riser is perfect for all appliances that have a base not larger than the glass platform. 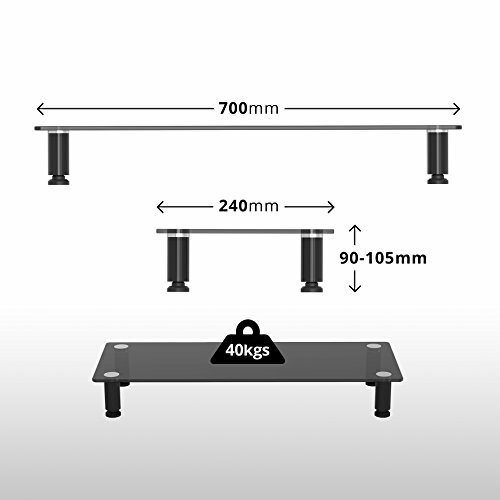 We would recommend giving 10cm clearance on either side for extra peace of mind. 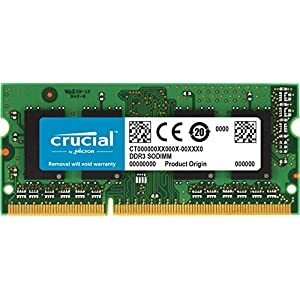 The various top monitor brands such as Dell, Samsung, AOC, Asus, Acer, BenQ etc. 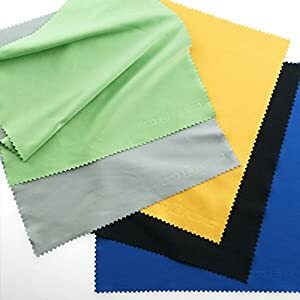 are all flat panel monitors which does not weigh so much. 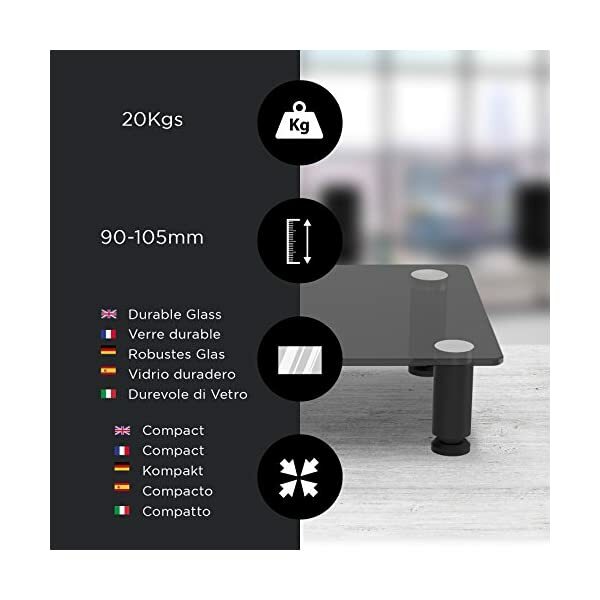 Even the small TV’s available today that weigh less than 20kg are also suitable. 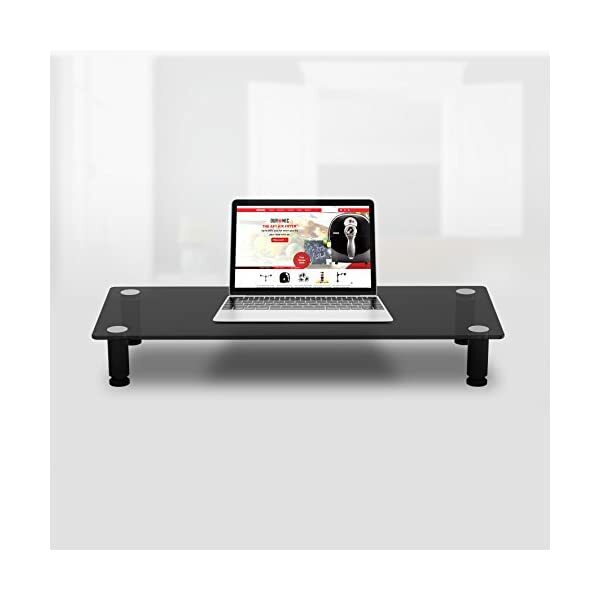 This riser also makes it a great laptop stand, enabling the laptop to be at the correct eye level. 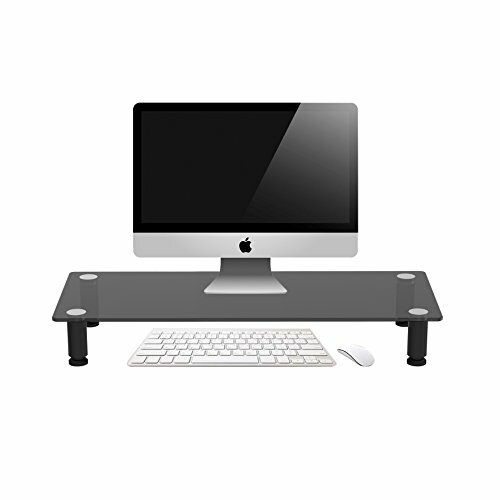 Duronic monitor riser also creates space underneath the stand to put your keyboard away from sight, and overall creating more space on your desk so you’ll utilize your desk space in other ways, as well as having a more cleaner set up. 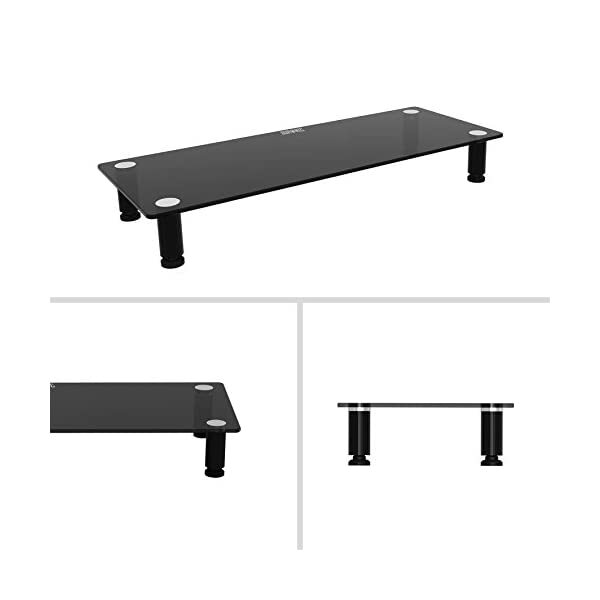 The DM052-1, DM052-2, DM052-3, DM052-4 monitor riser has a 6mm tampered glass platform. All glass is made of top of the range and will improve a monitor, laptop or a TV of the weight of up to 20kg. We have installed tubular feet to make the unit very sturdy. The glass size is: 700mm X 240mm. Our premium model: DM051 has a weight capacity of 40kg.